It is recorded that on the morning of October 10, 1861, on the Cyrus B. Hutcherson farm, about 13 miles from Glasgow, in Barren County, the first battle was fought in the state of Kentucky between Confederate and Federal troops. Upon being questioned, he said that it was in a fight at a gentleman’s residence near Park, and that the gentleman’s name was Hutcherson. The Oklahoman was thoroughly conversant about the details of the fight and had evidently participated in it. 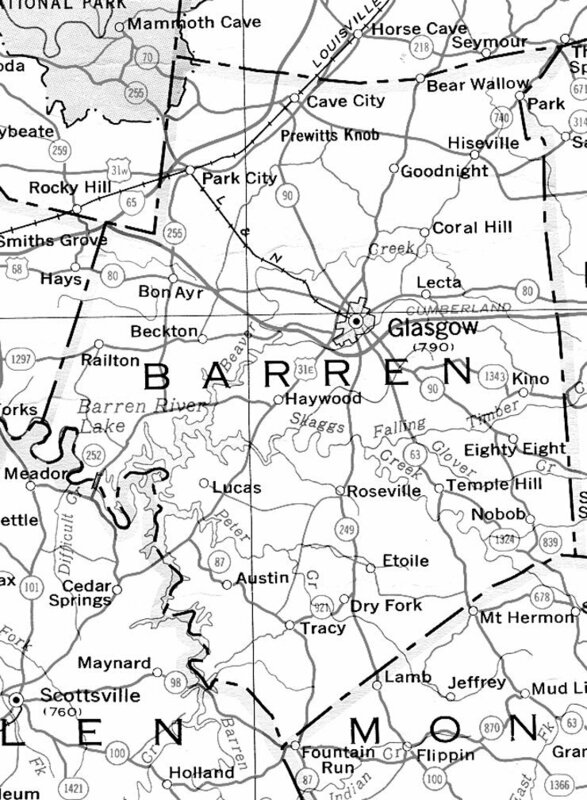 Investigation reveals the fact that he knew what he was talking about, and that he was probably correct in his assertion that the first gun fired in real war in Kentucky, and the first blood spilling in the state, between soldiers on each side, occurred in Barren County. 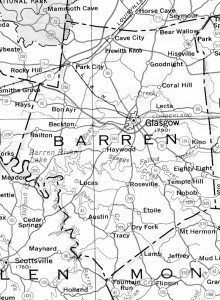 On the morning of October 10, 1861, Colonel Lewis, then encamped at Cave City, Barren County, Kentucky, learned that an apprehended movement was on foot to arrest Mr. C. B. Hutcherson, living near the intersection of the Munfordville and Burkesville Road with that running from Greensburg (Green County) to Glasgow (Barren County). His character had never been other than that of the gentleman and enterprising citizen. His crime was that he favored the Southern government. By request, Colonel Lewis agreed to send ten men, as volunteers, to guard him against what was ….